Perhaps lost in the shuffle of the NHL being shut down back in September 2012, due to a lockout, was a rather interesting story surrounding one of the Kings key prospects at forward. We began the tale a few months prior. 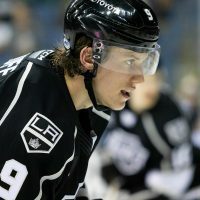 Just after the Kings won the first Stanley Cup in franchise history, GM Dean Lombardi and his brain trust of scouts selected forward Tanner Pearson with the 30th overall pick (first round) at that year’s NHL Draft. Due to a series of moves from ‘Dealer Dean’ though, they didn’t select again until the fourth round. A quick look back at the handy work of Lombardi and company since taking over in 2006 shows they had already mined some incredible gold when drafting players that late on the board. Just look at the list of some names – Alec Martinez (2007), Dwight King (2007), Linden Vey (2009), and Michael Mersch (2011). Paying attention yet? With the team’s fourth round selection in the 2012 Draft, LA selected Nikolai Prokhorkin out of Russia. And that’s when all the fun really ramped up. While the NHL was bracing for the upcoming lockout, the Kings brought Prokhorkin over to North America and had him attend Development Camp that July, and signed the talented left wing to an Entry Level Contract. Then, in September, he joined the Manchester Monarchs for training camp. Behind the scenes though, trouble was brewing. CSKA and the KHL were protesting the contract he signed and argued they had him inked through summer 2015. MayorsManor reported on all of this at the time, and eventually provided what looked to be the end of the story here. Essentially, after exhausting all legal avenues, and eight games into his AHL career, Prokhorkin returned to Russia to play out his deal in the KHL. 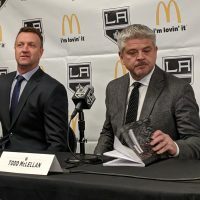 The Kings believed they had thoroughly done their homework to avoid the ‘Russian factor’ so often talked about when drafting players from that part of the world. Up until that point, Lombardi and his LA mates had a pretty good track record in this area. Thus, they were highly disappointed to lose the kid for the next three years. With the back story now complete, let’s move to the updated part of this story. This season, Prokhorkin scored 19 goals and 37 points in 52 games with CSKA Moscow and was an All-Star in the KHL. Although he had been openly talking about wanting to come back to North America over the past few months, many quickly dismissed the talk. After all, hadn’t we all been down this road back in the fall of 2012? Then came a tweet from Corey Pronman alerting us that Russian media was reporting Prokhorkin was indeed leaving the KHL, and was headed back to North America next season. After digging around and checking with our sources, MayorsManor can now provide some more details. Apparently, Prokhorkin and/or his agent bought their way out of the KHL deal. This is a fairly common practice and from what we’ve been able to gather, the price tag for him to do this was “far less than $1 million.” As interested as the Kings are in getting him under contract though, the saga continues to have so many twists and turns you might think some big-shot Hollywood producer is somehow controlling the plot. 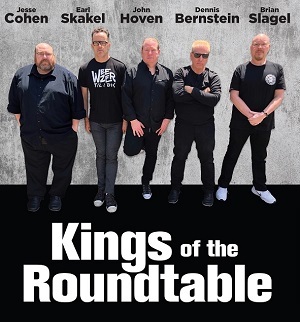 In a truly deja vu moment, any talk of a contract between the Kings and Prokhorkin is already coming under protest. It’s not really about CSKA (his team in Russia), but the KHL that is putting up a fight – as they’re arguing he can’t buy himself out of his deal and owes them one more year of service on the ice. Where the Kings go from here is a little unclear at the moment. We’re in a holding pattern again. Ah, such fun. One quick side note before we move on though. If this can all be settled in the Kings favor, look for Prokhorkin to begin next year with the Manchester Monarchs. He has the size and skills to make it to the NHL, but will need some time to adjust to the North American game and the Kings’ system before seeing action with the big club. Know this though, he is virtually a lock to be among the Kings Top 10 Prospects when we do our pre-season rankings… provided he’s playing in North America. – Kevin Gravel is likely to receive a contract from the Kings. The idea is under “heavy consideration” – which is an improvement from a month ago. Originally selected at the 2010 NHL Draft, MayorsManor had him ranked ahead of first round pick Derek Forbort in our most recent Prospect Rankings. However, some inside the organization have questioned his commitment to training and development. The Kings have a certain way they want things done and need Gravel to buy-in completely. At 6-foot-5, and coming off of two years of success at a top collegiate program – plus given the Kings lack of depth when it comes to young, skilled blueliners – we just don’t see a scenario where he doesn’t end up with a deal by the end of July. As we’ve noted before, if the Kings weren’t interested, he wouldn’t be in LA right now and participating in drills with the Black Aces. 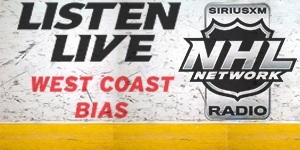 – Nick Ebert, a puck moving defenseman out of the OHL, needs to be signed this week or the Kings will lose his rights. Selected as the final player of the entire 2012 NHL Draft, Ebert just completed a run with the Guelph Storm at the CHL’s Memorial Cup. 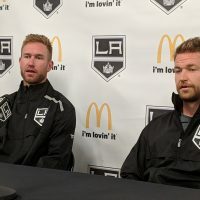 After his previous team was eliminated from the playoffs last year, he spent some time with the Ontario Reign and was given high marks by assistant coach Mark Hardy. As we previously reported, Ebert (or should we say his agent) and the Kings exchanged contract ideas some time ago. When checking on things this week, MayorsManor was told that unless Ebert’s side is unreasonable, LA is prepared for the give-and-take process of negotiations. And in the end, a deal is expected to get done this week. – Tomas Hyka, another player that needs to be signed this week or the Kings will lose his rights, is a totally different story. When his name was brought up, the first reply we heard was, “Who?” That’s how far off the radar the former Quebec junior league player has fallen. He’s been in Sweden the past two seasons and isn’t expected to be offered a deal by Los Angeles. The Kings had tried to move out of the 171st pick at the aforementioned draft, but couldn’t. Two years later, it looks they’re walking away from the player taken that day. – This next one is juicy. Valentin Zykov, ranked third overall on the Kings Top 10 Prospect List a few months ago, is caught in a bit of a quandary. He’s Russian, but was drafted out of the QMJHL, so his eligibility falls along the same lines as a North American born player. What does that mean, you ask? If he was drafted out of Russia, regardless of age, the Kings could do whatever they want with him. However, in this case, like Brayden Schenn back in the day, if they sign him to a contract, there are only two options – send him back to his Canadian junior club or play him in the NHL. He won’t be AHL eligible next season. 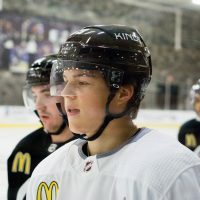 The Kings had talked about maybe signing him and letting him play in Europe (so they could control his development) – specifically discussing how to get him on the Eisbaren Berlin Polar Bears, another AEG-owned team. Upon further examination though, that isn’t possible. The current CBA prevents such transactions, if–and here is the rub–he’s signed to a contract by the Kings. If LA doesn’t sign him, he’s naturally free to play anywhere he chooses next season. It’s not likely to get that far. From what we’ve gathered, the Kings want him under contract as soon as possible and are willing to concede that doing so may not be in his best interest regarding development next year (because that means he’s going back to the QMHJL, he’s not NHL ready), but is the best route when you look at the big picture. You don’t want to risk sending him overseas without a deal and getting offered a big money offer from the KHL or someplace else. Zykov wants to be a King, the team wants him, thus it’s likely the best option. Expect an announcement of a new Entry Level Contract soon after the NHL playoffs are over. As of now, the plan is for him to spend most of the summer in LA and participate in the July Development Camp. 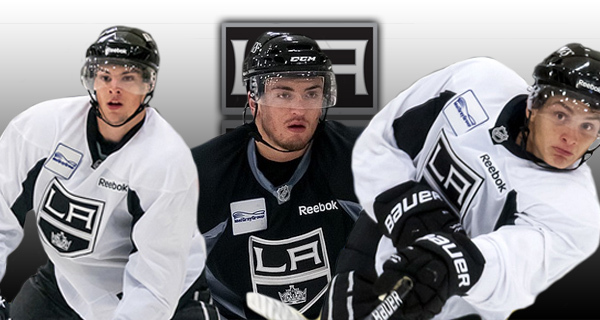 For more insight on the Kings top prospects, see the links below. Rock on John. Thanks for the update. Gotta say I’m excited for the prospect of Prokhorkin making The States a season earlier than planned. Watched him during the Spangler cup in Europe this winter and he is that good. Got LW1 written all over him with propper development. 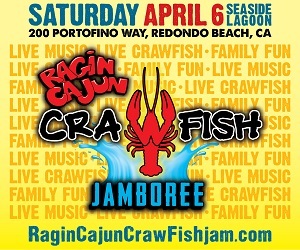 Something the Kings desperately need in the pipeline. I have to agree with Token. Prokhorkin isn’t just a top-six talent but looks more like a first-line forward It’s not often that a top tier team has a shot to get a player this good at such a young age. Assuming contract problems are worked out, it would not be a surprise to see him in a Kings uniform next season. The politically correct thing to say is he would need to go to the minors for a year but he may be good enough to start the season in L.A. depending on the moves DL makes in the off season. I will be surprised if DL doesn’t trade for a D-Man this summer so it’s possible one or two forwards could be on the way out. It might open the door for NK. Excellent update. That is exactly what I tune into this site for. The stuff the other writers/bloggers do not have the connections to accomplish. Thanks! Fantastic update. Interesting to see how the pieces will fit next year. Gotta figure McNabb gets a long look next year given what we gave up for him, the thin FA market for D, and the reports on him. Also DLs scouts thought he was the most ready d-man not on the NHL.